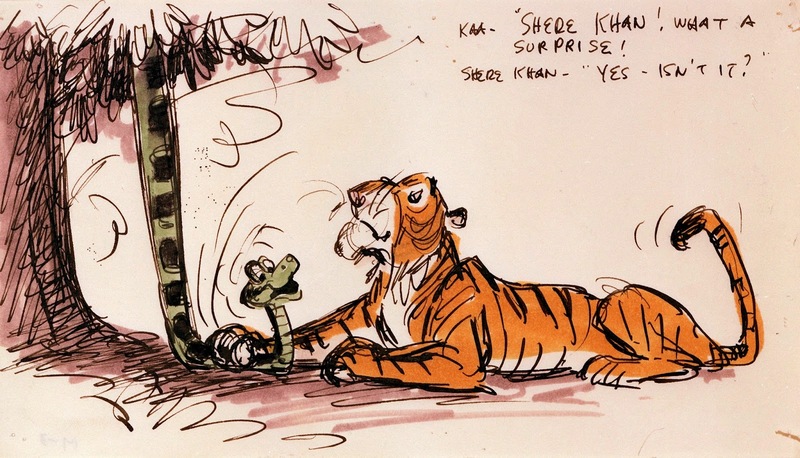 Who All Created Shere Khan? 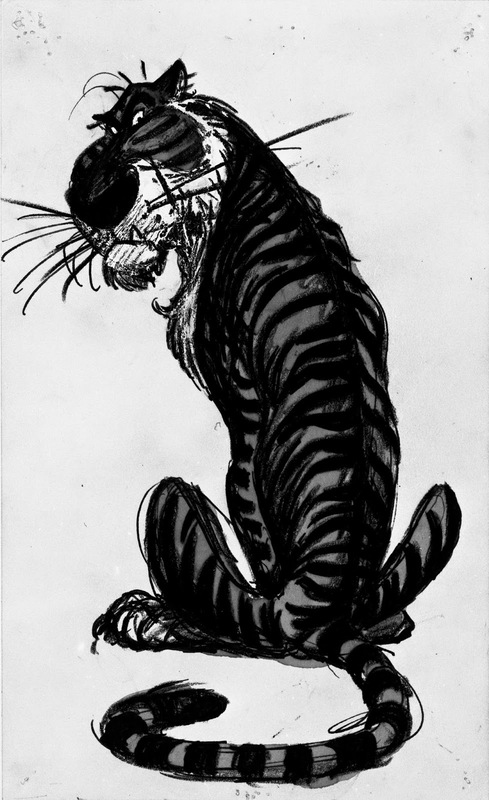 We all know that the villainous tiger in Disney's The Jungle Book is a Milt Kahl character, but you'd be surprised to find out how many artists had a hand in creating this iconic bad cat. Milt himself stated at one time that he really can't claim full ownership of a character he animated, because of other people's involvement in shaping its personality. He said, you've got the voice, which is so important, the story work as well as input by the director and other artists. Milt felt like that by the time he gets his hands on the character, his contribution might be relatively minor. Well...that's being overly modest, Milt never made any "minor" contributions to any of his animated characters. 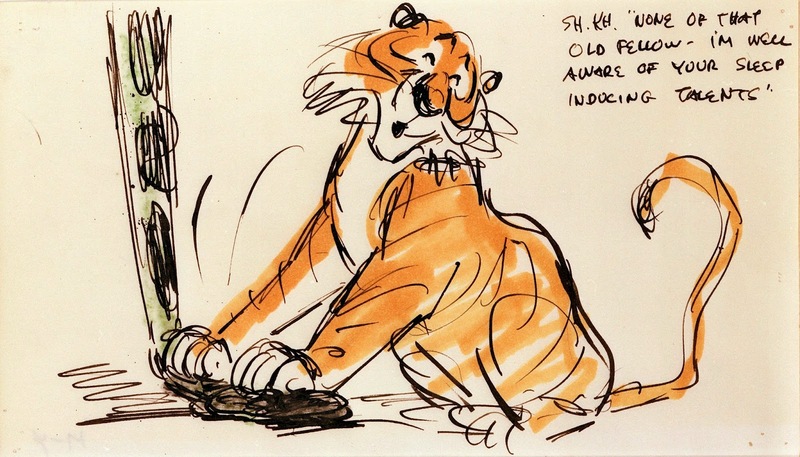 Let's take a look at Disney artists who were involved in Shere Khan's development. 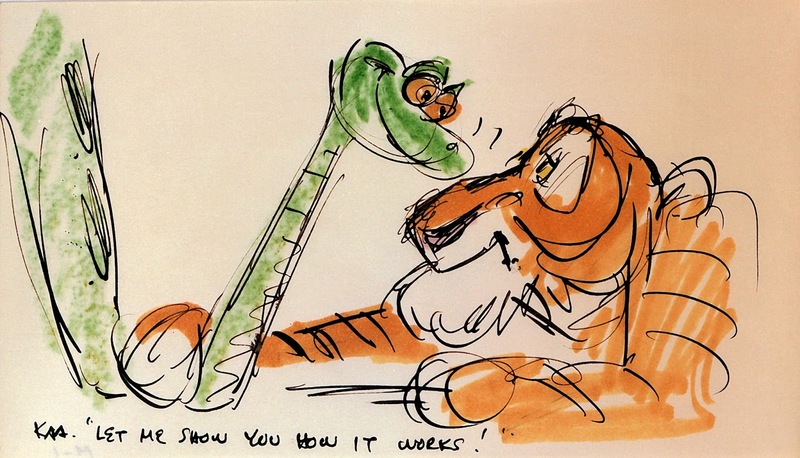 Story man Bill Peet doodled these poses, shown above, on a writing pad. Great drawings, but no specific character type is emerging yet. 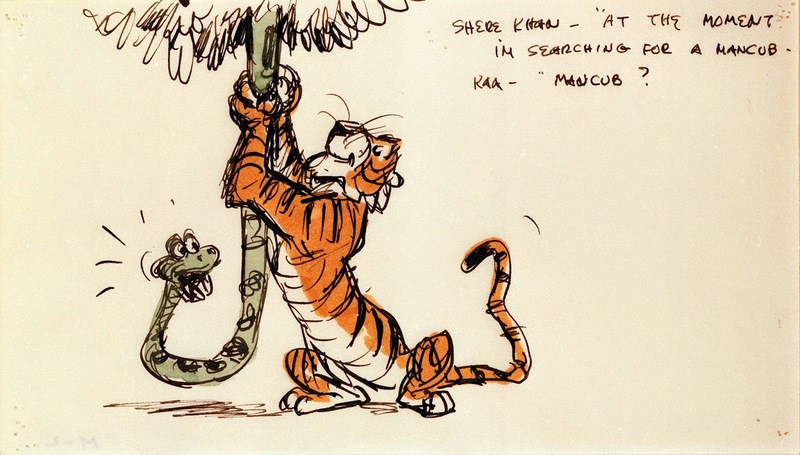 Peet left the studio early on in production of the film, his overall vision of Jungle Book clashed with what Walt had in mind. Ken Anderson produced a ton of sketches as he explored the film's villain. This drawing still lacked menace, too comical. I believe the following story sketches are Ken's work as well. By now he shows a tiger, who is confident, arrogant and above it all. 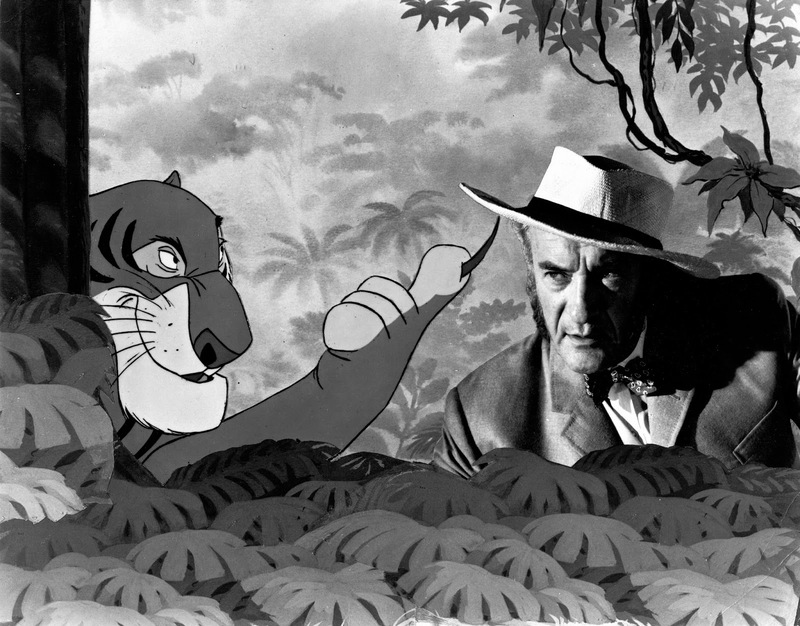 A publicity photo of actor George Sanders, who provided the tiger's voice, next to his animated alter ego. 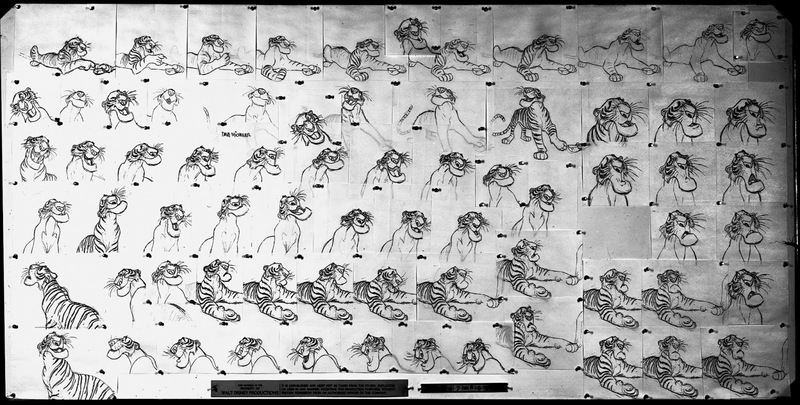 A model sheet made up of Milt's magnificent animation drawings. Draughtsmanship and performance for the ages.